For many years, and way before I found cultured foods, we would travel to my mom's house in Virginia for Christmas. It was a twenty-hour car ride from my home in Kansas City and we would often drive all night to get there so the kids would sleep. We would always be exhausted by the time we arrived at my mom's home. In anticipation of our arrival, my family would make buckets - and I mean buckets! - of sugar cookies. 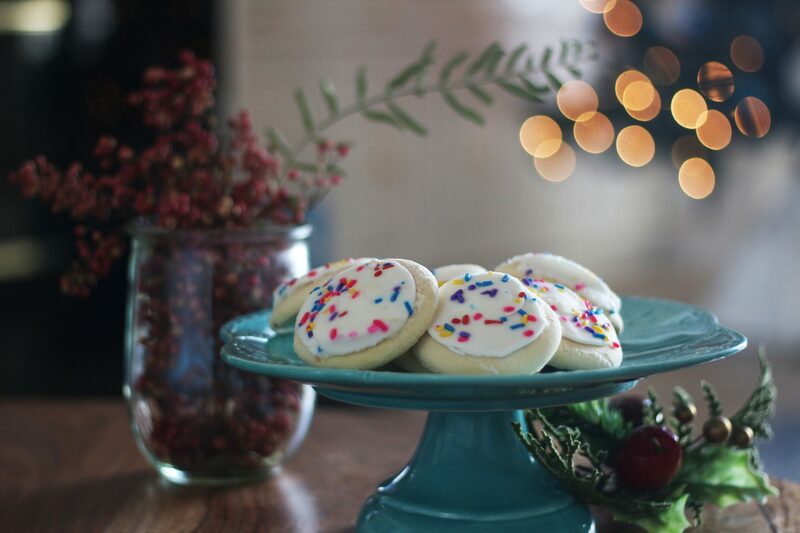 It was my grandma's sugar cookie recipe and it was a Christmas tradition. We would eat them the whole time we were there. Inevitably, someone in the house would get sick and then it would spread through the grandkids and adults. It happened every year, and so much so that we would always say, "Well, we always get sick at Christmas," and we just thought it was because we were all in close proximity to each other and spreading germs. Those cookies were so addictive that we couldn’t stop eating them. My husband told me that one night he was tired and sleepy and not hungry but he still dragged himself to the kitchen and had another sugar cookie. These cookies were covered in sprinkles and they would fall off, so he ate them over the trash can as to not get them on the carpet. Good lord, it was crazy. Fast forward many years, and I now know why we got sick. As humans, we naturally crave a sweet taste. It is an essential part of balancing the other tastes found in nature such as salty, bitter, and sour flavors. But it felt like we were crazy addicts at Christmas time. So, what happens when we consume a lot of sugar? First and foremost, our bacteria shifts dramatically and makes more sugar-loving microbes that make us crave sugar like crazy. This, along with the key player in the reward system of our brain, set us up for control problems. That feeling of pleasure we get from food and other substances is made by dopamine. Dopamine receptors are all over our brain, and indulging in any addictive substance, such as sugar, brings on a deluge of dopamine. Guess what happens when we eat a lot of sugar? Yep, those levels also surge and then we need more to stay satisfied. Neurotransmitters - namely epinephrine, norepinephrine, serotonin, and dopamine - have been shown to play a major role in controlling and maintaining homeostasis within the gut system in terms of nutrient absorption, blood flow, gut microbiome, local immune system, and overall gut motility and cravings. Hang on — I'm not saying you have to give it all up, but I'm going to tell you what to do to help yourself and bring the balance back. But first, let me tell you what goes on inside of your body. One of the things that can affect your immune system is eating sugar. This is the reason my family always got sick at Christmas. We had way too much sugar during the holidays and it lowered our immune system’s ability to keep us well. Let’s talk about this in regards to vitamin C. In the 1970’s, Dr. Linus Pauling (one of the greatest researchers in the field of microbiology) discovered that vitamin C helps the body combat the common cold. But what he also found was how sugar can do the opposite. Vitamin C is used by white blood cells to engulf and absorb viruses and harmful bacteria. White blood cells need to contain 50 times the concentration of vitamin C as would normally be found in the blood around it. Sugar or glucose has a very similar chemical structure to vitamin C; so when you eat sugar, your cells hungrily take in the sugar thinking it is vitamin C. The 50% concentration of vitamin C in your cells starts to drop and your immune system’s ability to fight a virus is reduced by 75%. It can take four to six hours for the vitamin C concentration in the white blood cells to go back to the normal concentration and to be able to function at the highest level again. So it’s not a great idea, and especially if you’re sick, to eat any kind of sugar, because the white blood cells can’t get past the sugar to do their job. So this is why we all got sick every Christmas. Our bodies lost their superpower strength to keep us healthy because we were eating so much sugar and crashing our immune system again and again. Here’s another thing - too much sugar or a high-stress lifestyle can create an environment inside you that encourages the growth of disease-causing bacteria and Candida yeast. Candida takes up a very small portion in your body, doing an important job of helping you digest things like heavy metals that your normal digestion cannot handle. If your gut flora is killed by antibiotics or a unhealthy diet, this leaves more room for candida to spread out and take over larger areas when you don’t have enough good microbes to keep it in check.Then you get a slew of other problems to deal with. Inside your body is a thriving inner ecosystem of microflora (good bacteria and yeasts) that keep you healthy and strong. These healthy bacteria and yeasts help you digest food, absorb nutrients, regulate your blood sugar, control food cravings, and manufacture vitamins and minerals. The secret to helping them is feeding them with probiotic-rich foods and lots of prebiotics in the form of fruits and veggies as well as lots of soluble fiber. I'm not saying you can never have sugar again, but you won’t be craving it like before and your body will balance this for you. 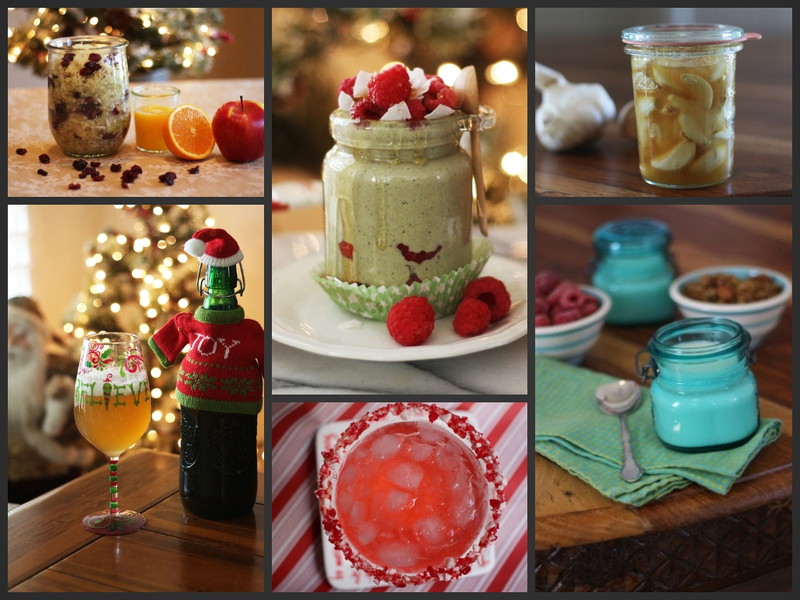 I have so many recipes that you can make on my site and in my books that not only satisfy your sweet craving but replenish your microbes. Then if you do eat sugar, those busy microbes will help reduce the effect on your immune system and you won’t be like an addict craving sugar. It took a little bit of time to grow into this new lifestyle, but now it feels effortless. Let me give you a few things that will really help you. I consume kefir for breakfast! Kefir is my number one thing I consume every day. It sets my day off right. It balances hormones and blood sugar and, goodness, I don’t know what I would do without it. There are fifty bacteria in kefir. It will be a mighty force in your life and slowly change this whole world inside of you. Lately, I've been making Easy Kefir in little pots and we are all enjoying it so much. 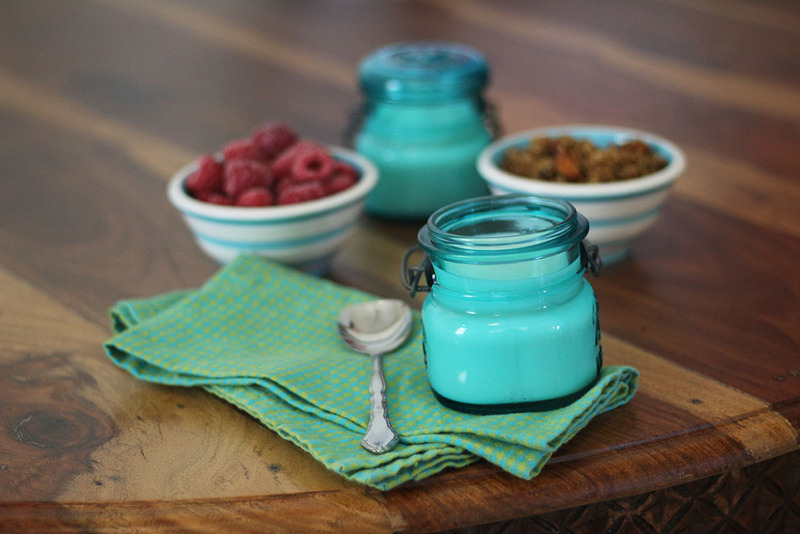 You just make a jar of Easy Kefir, which only takes 24 hours to make. Then when it's done, add a few spoonfuls of this to small jars and fill them with milk. Let this ferment for 24 hours or until it's thick and creamy, and then place in the fridge. You can even make chocolate milk kefir and boy, is it yummy. It's such an easy way to make kefir and since it's made from actual kefir grains, you get all the benefits of kefir without worrying about straining out the grains. Kefir is so nutrient dense that it will give your gut and brain what it needs and calm your body down while strengthening your immune system too! Have it every day and just watch how you'll change and sail through cold and flu season. If you do overindulge in sugary treats, drink some kombucha! Kombucha is a powerful detoxifier and will stop those craving for sugar quite effectively. Sugar is hard on your liver and kombucha will help support liver function. Kombucha will also supply you with a very powerful probiotic yeast that fights Candida and keeps not only the good bacteria in your body healthy, but the good yeasts too! When I have overwhelming cravings for food I know won't be good for me, I always drink a kombucha first; and then if I still want it, I can have it but I never do. Kombucha works and it's super delicious too. 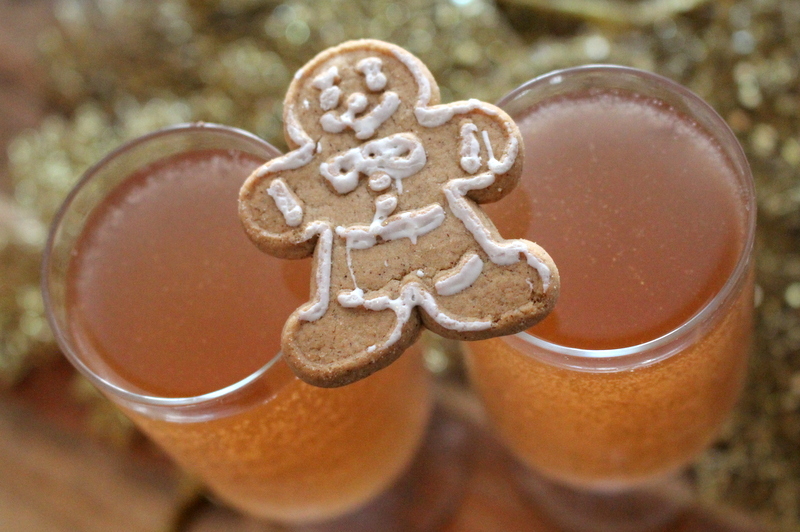 Try my Candy Cane Kombucha and let the microbes eat the sugar out of the tea. 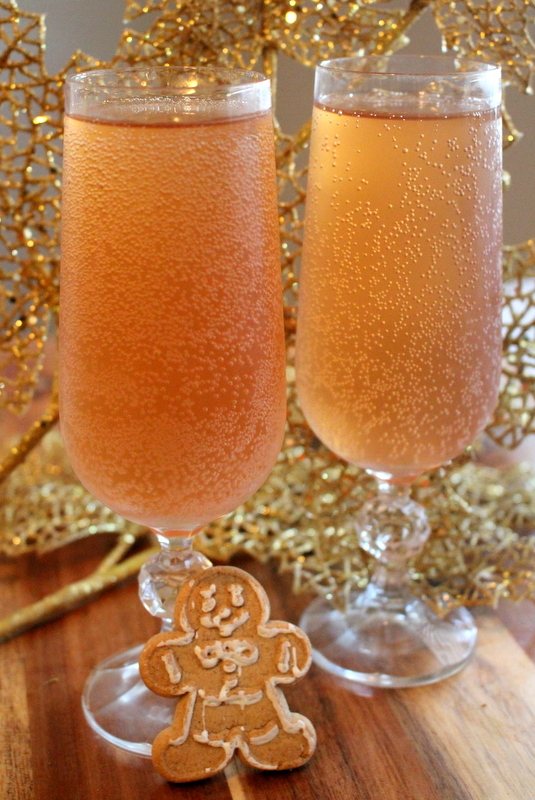 Then you'll receive a holiday treat with tons of Christmas flavor and lots of bubbliness too! Veggies — just a spoonful is such a big deal, and I’m not kidding about this. It's time everyone knows about these wonderful veggies, and let me tell you about one that can really help you. 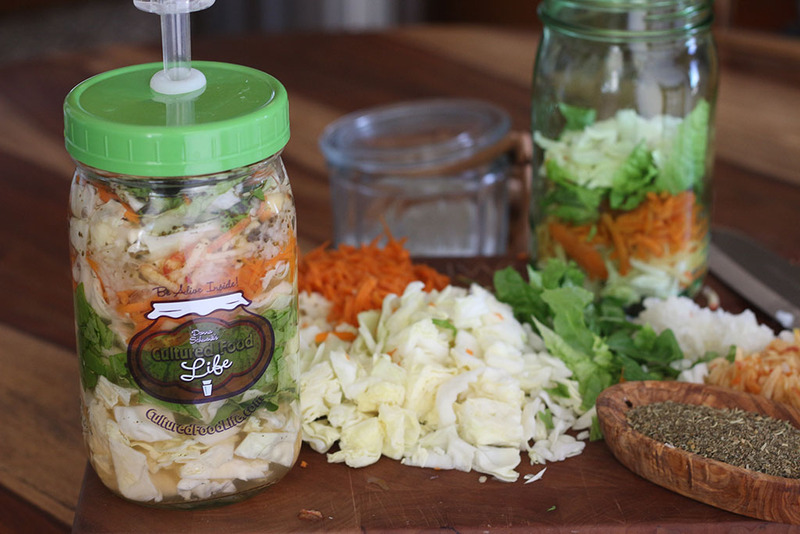 Researchers in Missouri found fermented veggies can decrease anxiety and stress-related behavior in people who consume them. It works on boosting the adrenals and strengthening the immune system due to the high vitamin C content. Fermented veggies can protect against food poisoning and toxicity and help you digest all the foods you eat with these powerful veggies. 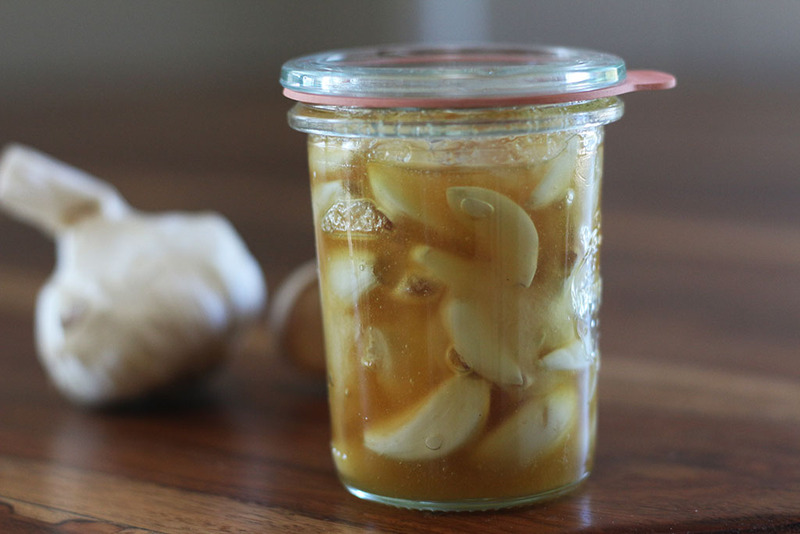 One of my favorite ways to help reduce sugar cravings and keep my immune system strong is to eat fermented garlic and honey. Now, don't knock it till you've tried it, but this is delicious and tastes like candy! It will cure your sweet cravings fast. An interesting thing about garlic is it works incredibly well with probiotics. Since garlic is a prebiotic, that is no surprise. A British research team looked at using garlic (an-antifungal) and probiotics together in an effort to respond to the increasing resistance of Candida to prescription medication. The researchers found that when garlic and the probiotic were used together, “a synergistic effect on the inhibition of candidal attachment occurred.” They concluded that “the combination of Lactobacillus and garlic should provide a preventative/treatment regime to address the growing problem with candidal infections.” Honey is a prebiotic which feeds good bacteria and garlic is an antifungal and also a prebiotic, so it's a wonderful bonus for your microbiome. Water kefir has helped so many people bring healthy microbes into their gut. 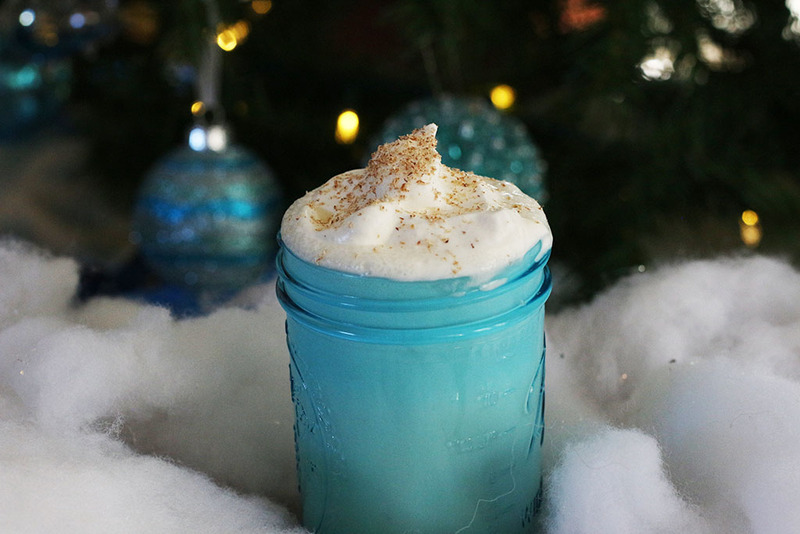 Replace the harmful sugary and alcoholic drinks that most people drink around the holidays. It's been said that water kefir originated in close vicinity to where milk kefir grains originated in the Caucasus Mountains. Water kefir grains, at the time, were a natural occurrence in mountain springs that are above 7000 feet in elevation. Texts and scrolls dating back thousands of years document the use of water kefir and milk kefir during those times and since then. I do know that they are a wonderful addition to the diet of anyone who is looking to add more healthy flora to their microbiome. I hear stories all the time that those who included water kefir in their diets have received so many health benefits that they'll never go back to unhealthy sodas or alcoholic drinks that wreak havoc on their bodies and especially their liver. It's just so delicious and easy to make. It will reset those cravings and help your body detox and you will feel it! There are certain times of the year when you need to strengthen your inner micro-biome and the holidays is one of those times. Find out how in this upcoming show. 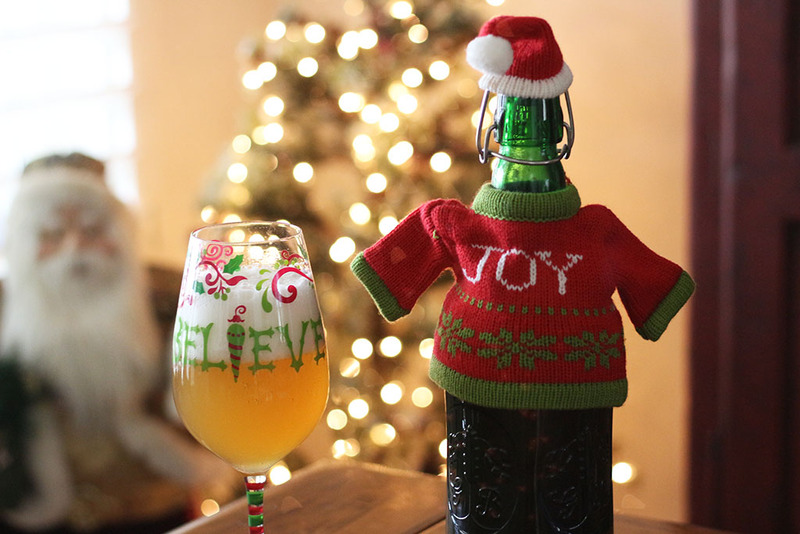 'Tis the season to be happy! 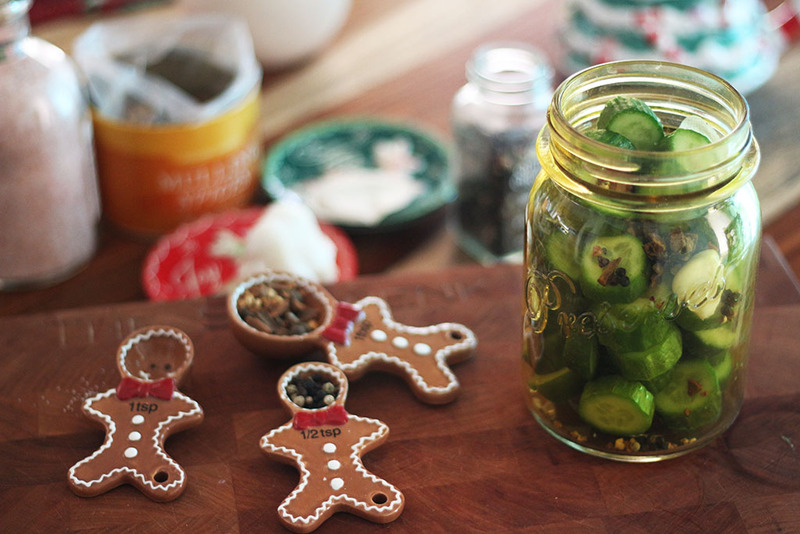 It's easy, fun, and delicious!